The Guest Rooms at our Hermann Luxury Boutique Inn are all uniquely decorated and provide a variety of modern amenities to assure that your visit with us is comfortable and relaxing. 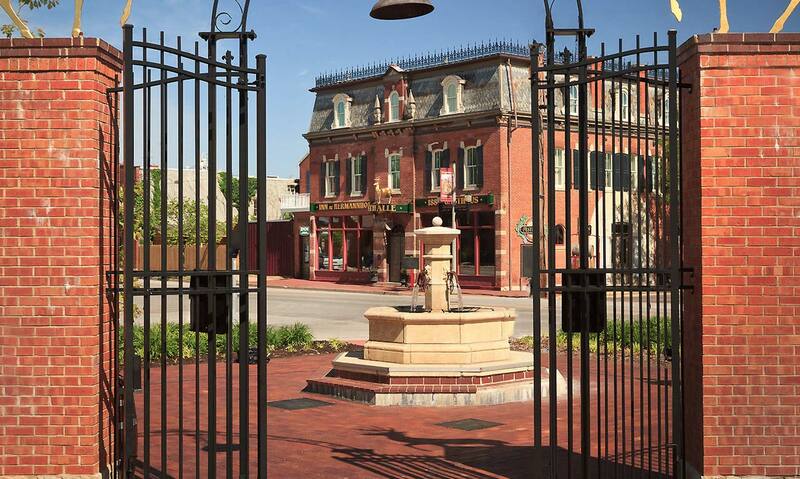 We are located in the heart of Missouri Wine Country only 1.5 hours from St. Louis and provide the ultimate romantic getaway. Please inquire about our Luxury and Deluxe ADA accessible rooms. Our Hermann Luxury Boutique Inn is conveniently located at the corner of First and Gutenberg, with the Missouri River to the north. Eight of our guest rooms are located on the second and third floors of the main Inn, which was originally built in the mid 1800’s. Each “Luxury” guest room is saturated in a different palette of historic color and offers many upscale and thoughtful amenities. A pencil post tiger maple King bed with fine linens, a handsome fireplace, and comfortable furnishings from the owner’s private antique collection complete each elegant bedchamber at our Inn in Hermann. A second fireplace warms the whirlpool tub for two located in the beautiful private bath, which also includes an elaborate steam shower system. An elevator ensures convenient access to and from your guest room. The Amtrak Station is less than a block away for those who choose to travel to our Hermann MO Inn by train. 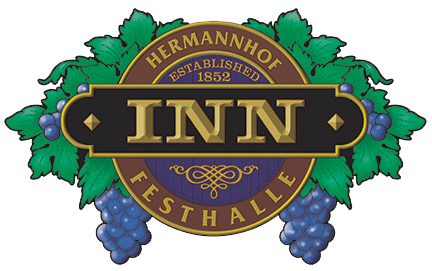 The Inn is in the heart of the Hermann historic district near restaurants, antique shops, art galleries, Hermannhof Winery, the Tin Mill Brewery, and many activities. Twenty-Three of our unique guest rooms are located in six Hillside Cottages only a few blocks away on East Hill. Each cottage is a fully restored historic house winery, originally built in the mid 1800s. Guest rooms range from Classic to Luxury. Each is designed with exquisite style to offer you choices, which include magnificent bedchambers, wine cellars, sitting rooms, fireplaces, whirlpool tubs, extensive steam showers, deep soaking tubs, wrap-around porches, and much more. All of our guest rooms provide the highest standard of excellence, with the comfort of you, our guests, as our first priority. East Hill is located behind the Hermannhof Winery, just a short distance from the historic district and the Amtrak Station. 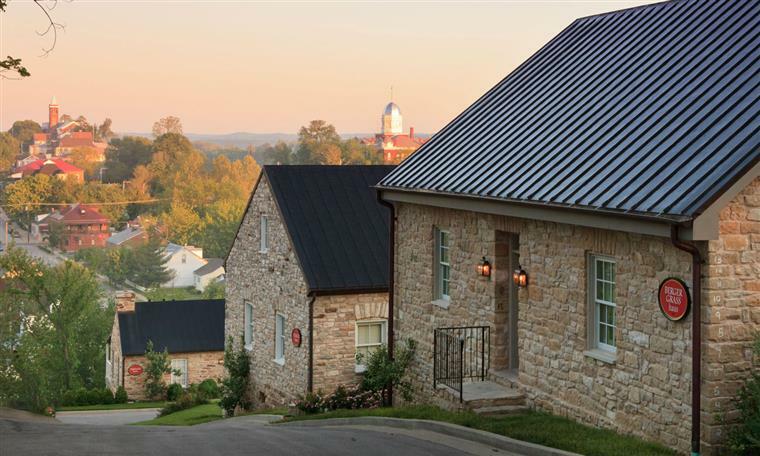 Each Hillside Cottage offers spectacular views of the river and the Hermann historic district. All of the historic Cottages are have been meticulously restored, furnished, and decorated to capture the character and appeal of the 1800’s. Your romantic getaways from St. Louis await.